Isn't it adorable?!? The little vintage flashcards are from Pretty Little Studio. There are 31 cards, and they are so unbelievably cute. The number 24 card is my favorite. My oldest is so excited about this. She keeps clipping different cards in the mini clothespin to try it out. Her birthday isn't until June, though, so she's going to have to wait a little bit. Wanna make your own? 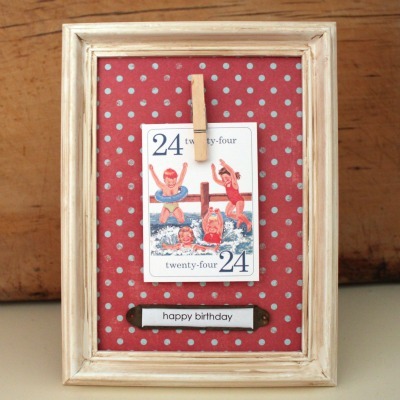 Click here to see the birthday countdown frame tutorial that Tiffany posted over at Lemon Tree Creations and to see her adorable frame! I LOVE this. 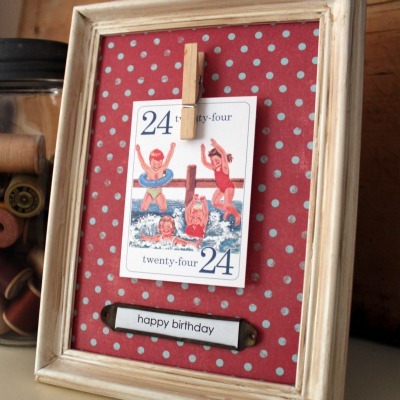 I think that #24 card is pretty darn cute, too! I need a good excuse to order some vintage flash cards and this might be it! Such a cute idea..maybe you could make 'month' cards too...so the countdown could go longer between birthdays in the household. I love vintage prints like that. So cute. What a fun project to make! Love it! This turned out so adorable! I love the vintage cards- great addition:) It's funny because I was thinking about buying her B is for Boy flashcards...how appropriate! Love this! Cooper would get such a kick out of it. 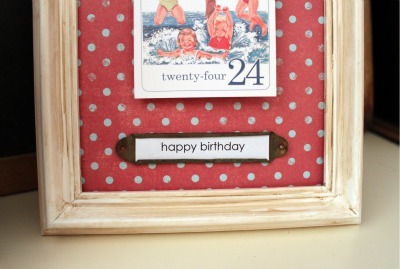 I love that it's in the cute frame and the cards are a great touch!! And this could be modified for any celebration. This is really cute! I love the idea of changing out the text in the label holder so you can use it for any countdown. Day's until Spring/Easter/Summer/Vacation -Fun!! Oh, this is sooooo cool! I can see a couple of 'em happening very soon... like over spring break! The vintage cards are darling. What fun. That's adorable and the cards you picked make it super sweet. It sounds fairly easy to make too. Love yours! I can't resist polka-dots and your frame looks great! So glad you could use the idea and have fun with it! 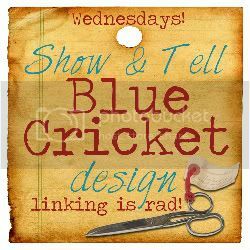 : ) Thanks for linking to mine! So cute! I love those cards. That is such a cute idea Gwen! I love that you made it yourself! I love this so much, AND thanks for sharing the cute source! so cute! Love the flashcard. Kids are always wanting to know how long it is till their birthday. What a fun idea. This gives them something to do so that the days feel like they're getting closer faster.